Becoming an award-winning independently published author took a lot more work than I had ever imagined. I'm no marketing mastermind . . . or at least I wasn't when I started this whole self-publishing adventure. Some of it was pure luck in the beginning, but now I know the ropes. And I hope my advice helps you on your journey to doing the same! As writers we know how to tell a story and make people feel things with words, but for some writers, going out into the field and working with people can be scary. Luckily for me, I am not one of those writers. I am also an actor, so I'm comfortable with public speaking, schmoozing with people, and being the center of attention. All skills you will need in your book marketing if you really want to get your amazing work of written art out there! You believe in your book, know it better than anyone else, and should be ready to represent it. I had a book release party at The Stonewall Inn National Monument. It was a place dear to my heart and had a lot of meaning associated with the book. It was a great place for my family and friends to come celebrate the event. If you want to have a great book release party, do it somewhere you love or somewhere significant to your book. Talk to the managers or owners of your ideal spot and work out a deal with them. If it is a bar or cafe, let them know the guests will also be buying from them. Set up specials with the management or an item purchase minimum. Get out there! If you don't have a PR team behind you, like most of us self-published authors, YOU have to do all the publicity work yourself. If you believe in your book, finding the motivation should be easy. I started by getting a book-specific Facebook page and an awesome website. (Wix.com was a good place to start for me.) I made sure to meet opportunity with preparedness. Always carry a copy or two of your book with you. I ran into Justin Bieber at a Subway sandwich shop in LA, bought him lunch, and gave him a copy of my book to read on the plane ride he was taking that night. The paparazzi snapped lots of pictures of him holding the book and my story eventually made the press! Now, I'm not saying that you are going to run into a celebrity and have a moment like that, but you will definitely run into people that can help you promote your book. Bloggers, bookstore managers, reporters, librarians, teachers, and people who can relate to your book are great to give a copy to. You don't have to have a huge stock at home though. Start with an order of 10 or 20 and work your way through those. The beauty of IngramSpark is you can order more whenever you need them. So, you don't have to spend a lot to make an impression. Walk in prepared with a copy of your book and find a great employee to help you. I gave a copy to the woman at Barnes & Noble in LA who helped me get my book on the shelf and she loved reading it. Just remember to be kind, patient, and respectful. And NEVER give up. I was in a homeless shelter struggling with addiction not too long ago, and now here I am, sober, and honored to be writing this post as an award-winning author whose book is on the shelves of the largest bookstore in the world. If I can do it, you can do it. Take a chance on yourself and go for it. You worked so hard to create your book, now get it out there, and inspire others to do the same. Best of luck! You got this. Are you ready to get your indie book on to Barnes & Noble's bookshelves? The good news is that any book in the IngramSpark print-on-demand catalog can automatically be made available to Barnes & Noble’s customers through the Barnes & Noble website and (at Barnes & Noble's discretion) through customer special order requests in the stores. For details on how to encourage Barnes & Noble to stock your book in their physical bookstores, read more below. Discount Terms:  Your title must be set up with a 55% wholesale discount to ensure B&N receives a trade discount. Returnable Status:  The title must be set up with one of the return options: "Yes—Deliver" or "Yes—Destroy." Barnes & Noble may return any unsold books back to you, through IngramSpark. Discount and Return Status Stay the Same for the Life of the Book: If a Barnes & Noble buyer agrees to stock a book in their stores, they expect the terms will stay the same  for the life of the book. A change to short discount or nonreturnable after they have already begun stocking and replenishing the book is not permitted. Title and Author on Book Spine:  Every book needs to show the title and the author on the spine. Many books are shelved with the spine out in Barnes & Noble stores, so books without a title and author on the spine will be invisible, not easily browsed by customers, and not easily found by booksellers. Barcode:  A book needs a consumer readable retail price and a barcode with the embedded retail price. Once you've ensured that your book meets the required terms above, you should send a sample copy of the book, along with a cover letter that includes your contact information (name, email address, phone number), to the Small Press Department for consideration. In a single Microsoft Word document, you should also include an explanation of why  Barnes & Noble should stock the book in their stores—this includes marketing, publicity, and promotional plans, as well as any reviews or articles that have been written about your book. The Small Press Department will make sure the appropriate buyer considers your book, and they will get back to you in writing to let you know what the buyer decides. Barnes & Noble stores will generally expect a book to be listed in their purchasing system before considering a book for an in-store event. Events and author signings are arranged at the local store level, at the discretion of each individual Barnes & Noble store. Do your research on the specific Barnes & Noble location where you'd like to hold your event, and reach out accordingly. You'll never know unless you try! Remember to follow the steps above, research other stores to sell your book, and maximize your bookstore sales through IngramSpark today! This post was updated on 2/5/2019 with helpful tips from IngramSpark on Barnes & Noble placement. It was originally posted on 2/28/2017. 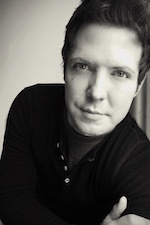 Kody Christiansen has won multiple awards for his first memoir Hollywood Heartbreak | New York Dreams, received rave reviews, made world headlines, and hopes to continue to encourage readers with his newest literary works. Christiansen's personal motto to stay strong and dream big rings true for all independent authors looking to make their mark on the world.